You wouldn’t know it by looking, but many of your household items aren’t meant to last forever, in fact, many of them have expiration dates that just aren’t stamped like our food at the grocery store. No fear, you’re not going to get skin poisoning for wearing an old pair of running shoes for too long, but the performance may dwindle. For many items it’s not so much the expiration date, you need to consider, but it’s the potency or chemical ability it needs to do what it was intended to do like a fire extinguisher. 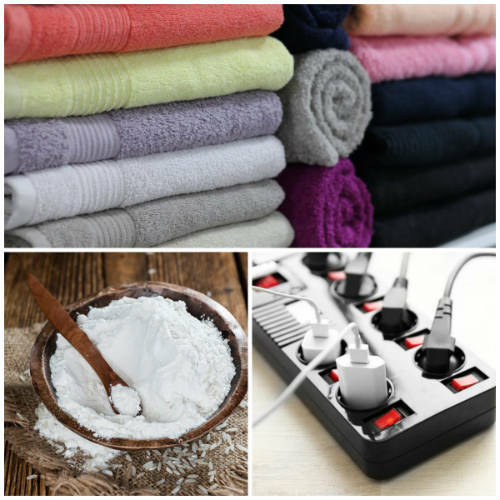 Take a look at our interesting list of surprising items you thought could go on forever, and ever, and ever in our post of 18 Household Items You Never Knew Had Expiration Dates. No matter how many times those soft and pillowy towels get washed, you can’t stop bacteria from eventually colonizing your towels. They have a shelf live of 1 to 3 years. Guess it’s time to throw away my faithful gym sneakers from College 2006. Apparently, sneakers need to be replaced after every 250-400 miles which means bad news for regular joggers. The cushion begins to break down which will lead to stress on your joints. Spices are dried and removed of all liquids but over time the texture; color can change changing the taste, as well. If you had a spice that started out looking green and now looks a bit brown or yellow, that means the essential oils in the spice have evaporated, etc.